With speakers and participants coming from around the world and representing a wide range of disciplines, the Lisdar Congress is a global forum for social dialogue on some of the most pressing challenges of our time – but also the opportunities that they bring. 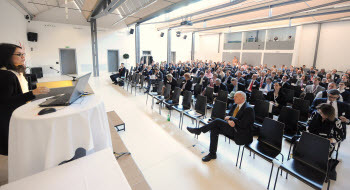 The Lisdar Congress began on 2 May with opening remarks from Klaus Tschütscher, Prime Minister of Liechtenstein. Describing major challenges such as climate change, the energy revolution, global financial system, the wealth gap or demographic growth as “imminent dangers” to our society, he urged us to realise that time is of the essence if we are to find sustainable and long-lasting solutions to these challenges. 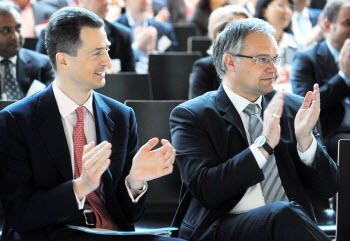 For Prime Minister Tschütscher, the Congress is one such contribution because it demonstrates in a high-level manner how we can move from merely thinking in society, the economy and politics towards concrete action and just how such forward-looking measures could look like. 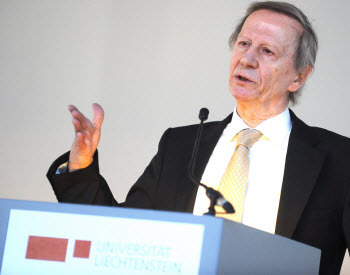 With the focus of Day 1 on responsible investing for foundations, institutions and individuals, Peter Droege, Professor at the University of Liechtenstein and initiator of the Lisdar Congress, spoke about how the sustainable economy is also a stable economy. Lord Giddens, the Congress’ keynote speaker, sees the fight against climate change as a battle for the future of civilisation, but a battle that we risk losing. Business and societies alike must get rid of the dependency on fossil fuel. They need new policies, with emerging countries taking the lead. Renewable energies have not brought enough change until now. 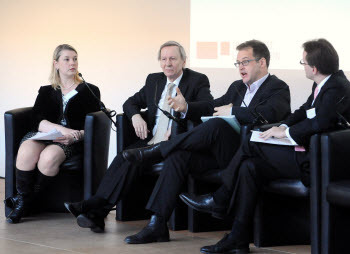 Other speakers also emphasised the need to change how we think about sustainability in financial decision-making, including Cath Tillotson, Chief Investment Advisor at Scorpio Partnership in London, who remarked that clients increasingly see the challenges facing global society as opportunities rather than as threats and seek to become even more engaged in socially responsible investing. Foundations play an important role in building a sustainable economy because they manage large volumes of financial assets that lie beyond the realm of corporate decision-making and public policy. Nicolas Venier of the Fondation de Luxembourg described how the Fondation’s mission is to facilitate the philanthropic engagements of its founders and outlined the benefits and challenges that the Fondation faces when applying a sustainable and responsible investment policy. 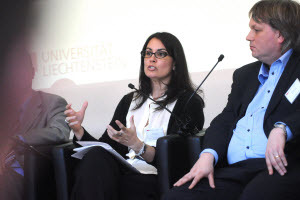 Since foundations have to remain accountable to their founders and boards, they have become agents of social change and promote sustainability in a more general sense, explained Rupert Graf Strachwitz, Director of the Macenta Institute for Philanthropy and Civil Society. 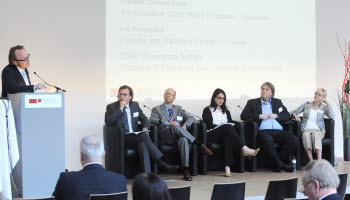 However, care must be taken when a foundation’s goal to invest responsibly may not be compatible with government regulations or statutory requirements, which is where foundation laws and legal rules can prove a vital factor if a foundation seeks to succeed in sustainable investing, according to Dominique Jakob, Head of the Centre for Foundation Law and Chair in Private Law at the University of Zurich. Many of the afternoon workshops explored the different strategies that foundations can take when pursuing ethical investing. One such approach is mission-based and impact-based investing, explained Ivo Knoepfel, Founder and Managing Partner at OnValues, a Swiss investment consultancy, in which foundations align their investments with their mission. 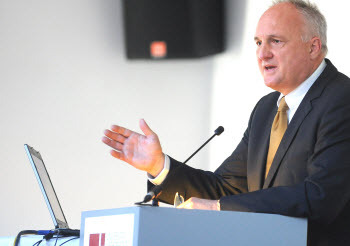 At times, this may conflict with legal, strategic, fiduciary and program responsibilities; Cornelius Pietzner, CEO at Alterra Impact Finance in Zurich provided a few concrete examples of foundations in Switzerland, Great Britain and the USA who successfully structured their practices to achieve maximum impact of assets in line with their missions. Fredrik Gunnarsson, Administrative Chief at Mistra Foundation in Stockholm, and Peter Spinnler, Initiator of the EMF Microfinance Fund both described how their foundations have integrated environmental, social and corporate governance policies into their investment portfolios and strategies. Other approaches that different speakers outlined for participants include investing in microfinance. These small loans have a social justice element because they help millions of people around the world escape from poverty, but they also have an ecological benefit: When micro-entrepreneurs invest in new technologies such as efficient cook stoves or small solar stations, this reduces carbon emissions and generates returns from CO2 emission certificates which can then be used to subsidise the micro-entrepreneur. 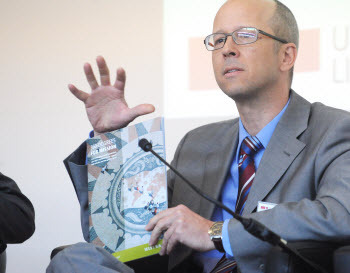 Christoph Dreher, Managing Partner at the Center for Social and Sustainable Products and CEO of MIL – Microfinance Initiative Liechtenstein looked at the challenges and risks that foundations face with this approach, as well as the opportunities to create an even deeper impact of their investments.